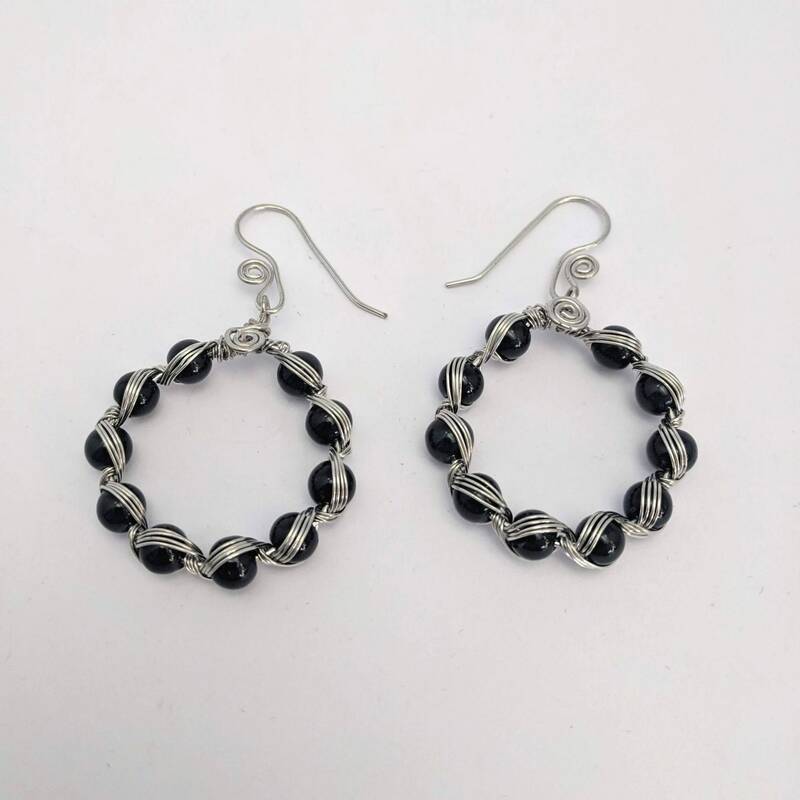 A unique pair of earrings made of 6mm obsidian beads have been woven with copper wire in a 4 strand snake weave. 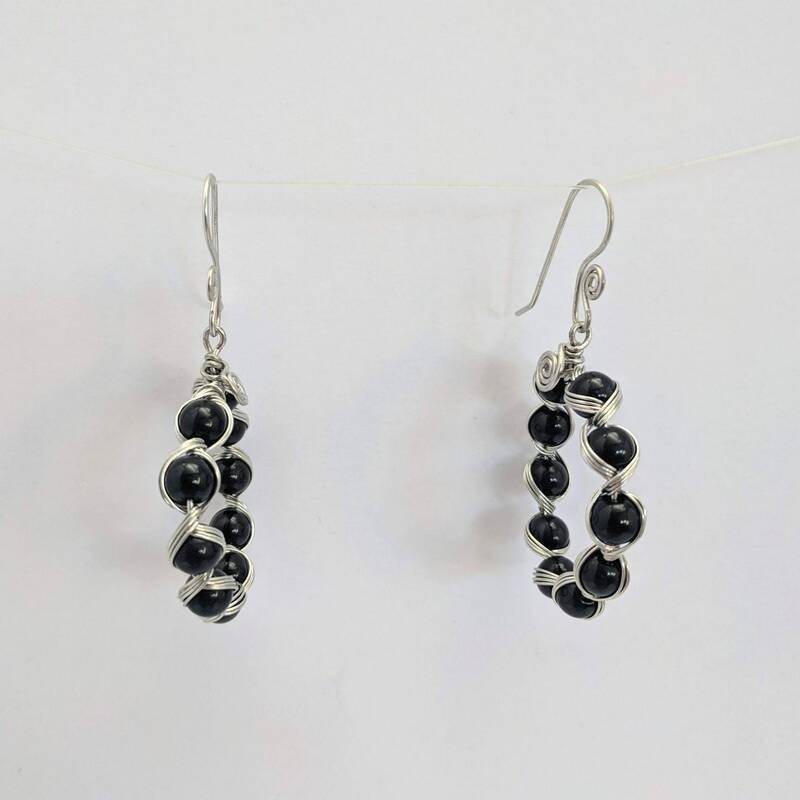 There are sacred spirals near the bail and handmade matching sacred spiral ear wires. The hoop is approx. 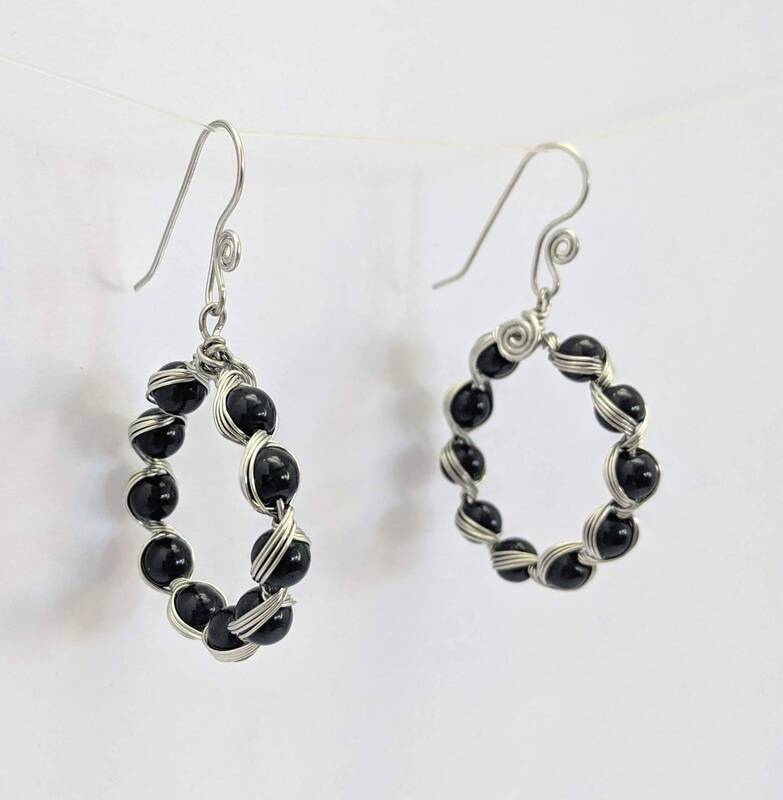 1 3/8" in diameter and overall the earrings measure 2 1/4" including the ear wires. We only have a plated silver one in stock! Made to Order: Please allow 3 days so that we can make one especially for your. We ship via USPS Priority Mail insured so that your will received your order in 2-3 days once the package is posted, plus you can track it on-line. Available in copper, silver, or bronze/brass. 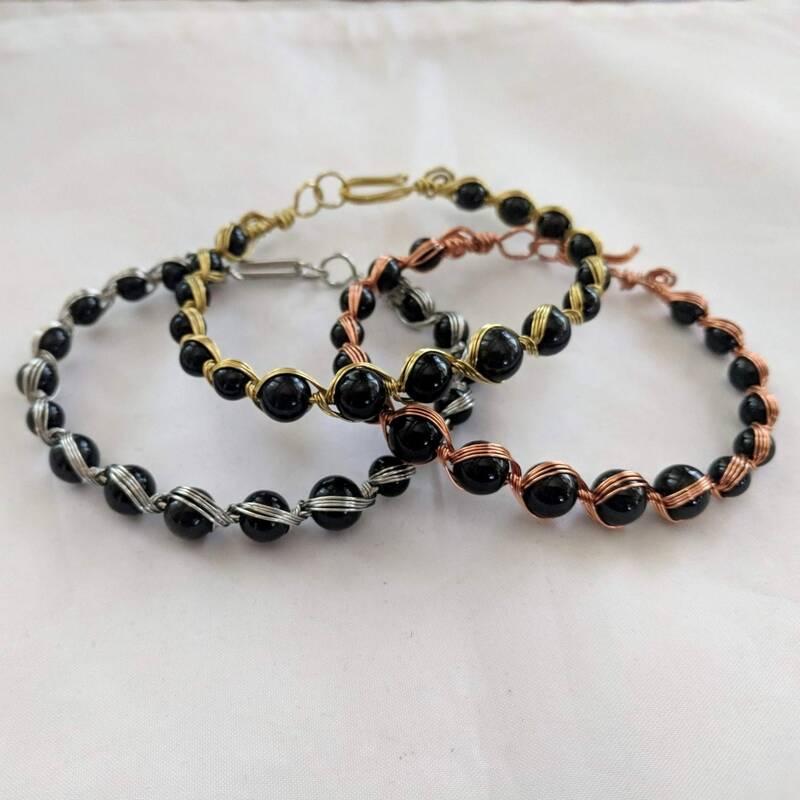 Shown in last picture - Look for the other listing that has the matching bracelets! Copper History Notes: In ancient Mesopotamia, it was attributed to the Queen of Heaven as well as the goddesses associated with the planet Venus: Ishtar, Astarte and Inanna (their Sumerian predecessor). In Roman times, this included Aphrodite, the goddess of love and beauty. Also it was sacred to the Sun in Babylon as well as the Pacific Northwest (US). Its association with past solar attributes makes it a lucky metal to be used with good fortune gemstones.